There is a new personal laser hair removal system the DM7000, which is causing some interest in the field of hair removal systems. The hair removal category was ‘HOT’ at 2011 as many manufacturers have been launching new models and new innovations and improved products (New Tria, Me my Elos). In this review you can read more about the DM7000 laser hair removal system, which is the NEW hair removal device delivered by Avance Beauty. I have not tried the DM7000 personally but did research on the system, to help you decide is it the right hair removal system for your needs. If you have a older generation hair removal system like the DM5000 laser or DM6000 laser system, than you are familiar with the ‘DM systems’ performance. 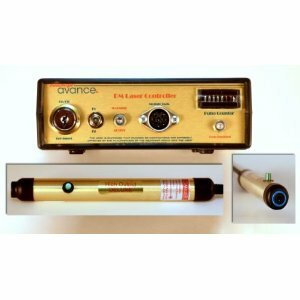 NEW – Avance DM7050 an upgraded version of this system is available! Check bottom of page. The DM7000 was launched at the end of 2011, and it includes some improvements for better and more effective hair removal, than the former DM6000, which was the top system by Avance Beauty. Higher Energy Pulse – The most obvious improvement was an increased energy power to the laser beam. The DM7000 has an impressive 130 Joules/cm2/sec. The DM systems series (DM5000, DM6000) have the most powerful laser beam in the at-home category hair removal systems. For example the Tria laser system 3.0 model (the newest Tria) has 24 Joules/cm2/sec. Higher energy means more heat at the hair follicle (when done on the right candidate), and better chances to complete destruction and permanent hair removal. Larger Beam Spot Size – Another improvement for the DM7000 Personal Laser Hair Removal System, is that the beam spread at 1 inch above the skin surface, is a 2 mm spot. The beam size allows the DM7000 System to be both precise and also cover more skin at each pulse. Pulse Counter – The DM7000 laser system has a built in pulse counter which means every pulse is counted. This is useful for the small home business clinic, to know how many pulses were used for each client or session. This is helpful when the system is given to a friend or rented by another clinic, it has an indication of how much it was used. 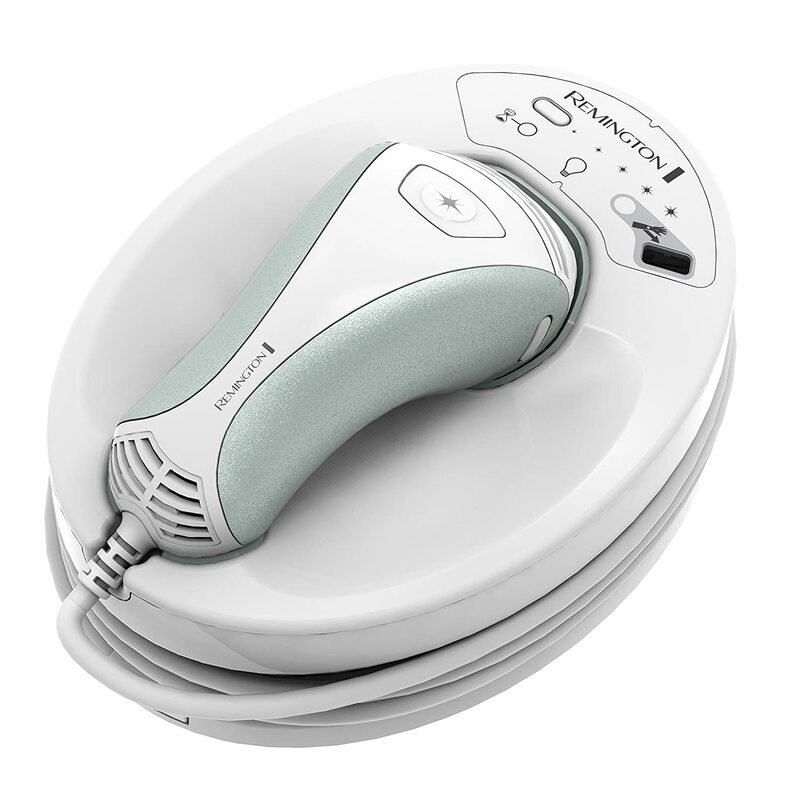 Dual Intensity Control – The DM7000 laser hair removal device has a small dial which has a pre-set control, of number of pulses and intensity level. So you can adjust a lower level of energy and a higher repetition rate for the laser, or a high energy laser beam with a slower (per second) repetition rate. This allows a versatile usage for the DM7000 laser hair removal system, on different skin areas, which some are sensitive and need lower energy and others have more coarse hair and need more thorough treatment. 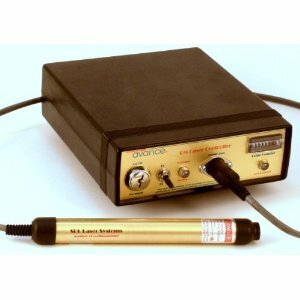 As far as I see it in this review the DM7000 personal laser system is a system for a Home Salon Clinic, and not for a regular home personal use. The DM7000 Personal Laser Hair Removal System is much more powerful than the home-use competitors. Nearly 5 times more energy delivered in each pulse than the Tria laser system. Though this can achieve an effective treatment, the energy power might not be suitable for self usage at home. The power of the DM7000 should be used by a professional participator. It has less safety precautions implemented for the unprofessional user. Most at home hair removal laser or IPL systems have some basic precautions which make the systems safe for home use, the DM7000 laser lacks those. The Skin touch sensor, which locks the beam unless the device is pressed to the skin, to avoid projections toward the eyes. The skin tone sensor which locks the laser if placed on a darker skin than should be. These precautions lock make sure the unprofessional user will be safe from doing damage and causing burns to themselves. The 2 mm beam spot size can be achieved when held at the right height from the skin, and this can be difficult to be done alone at home, without someone else doing the treatment on your skin. There is no doubt that the DM7000 personal hair removal laser system has Superior energy levels and advance ‘dual intensity controls’. Both when used by a professional user can deliver an effective long lasting hair removal treatment. The main question is: does this system fit for the regular home use? I think is does not fit the average women who wants body hair removal done at home. Such users should stick to the Tria laser or IPL systems Silk’n Sensepil or Me my Elos, and though the Tria has less energy power in each pulse, it would be more convenient and safer. 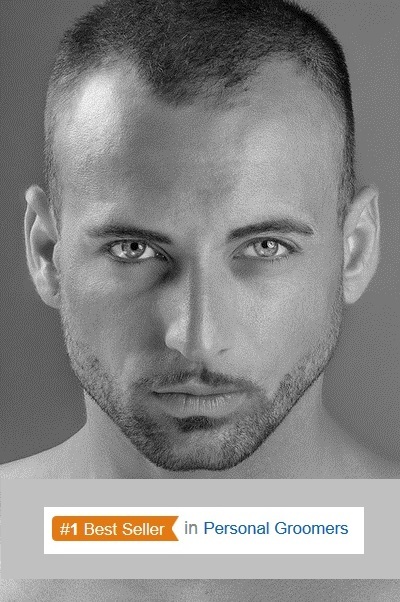 Though not mentioned anywhere, facial hair should not be done alone with the DM7000 laser! The energy is to high and with no safety sensors you are in a great risk for eye burns and facial discolorations. The DM7000 device may be very effective for the advanced user and for those disappointed by the low energy of the ‘cute’ home lasers.. A user who has the time and patience for a precise laser treatment, and a facile by facile ‘head hunt’. The Dm7000 personal home laser system can be used to treat only areas which are easily reachable. Such as legs, thighs, pubic, Brazilian, arms, abdominal and chest, those can be done effectively by the DM7000 laser hair removal system. This entry was posted in Avance DM Lasers and tagged Avance Beauty Laser, Avance DM7050 laser hair removal, Dm7000 laser, DM7000 Personal Laser Hair Removal System, DM7050 Laser by . Bookmark the permalink.